The Mature Traveller: The best view in skiing? It's a view from the piste to match the world's most spectacular. 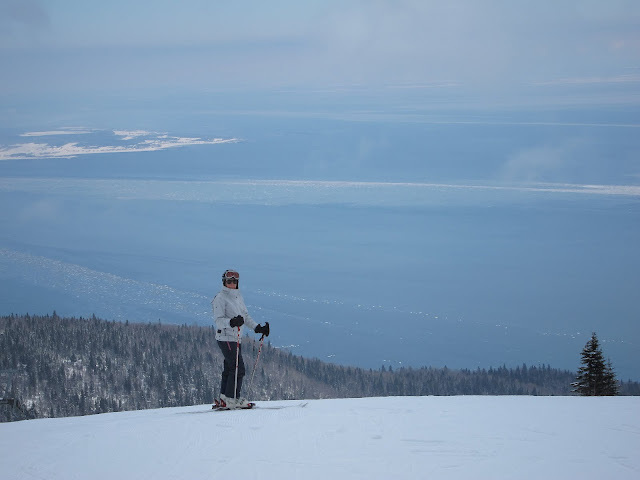 From high on the ski slopes of Le Massif, in Canada's Quebec province, you can look down on the wide St Laurence River - blue in my pic to reflect a clearing sky and strewn with ice floes. Catch it at the right time and it is stunning. Click to make it bigger.